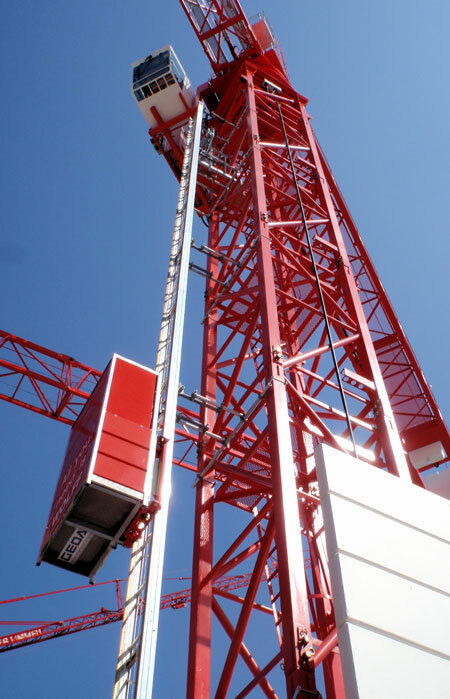 The GEDA TCH Tower Crane Hoist is a rack and pinion hoist that is compatible with cranes up to 393’ 7/16”, but heights exceeding this measure can be customized upon request. 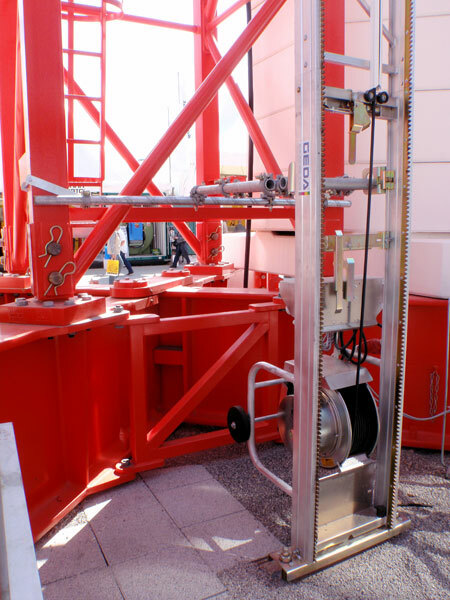 Safe transport of personnel and materials is guaranteed through a number of innovative features on the TCH Tower CraneHoist. The possibility of an emergency worksite evacuation is a situation that calls for a fast and reliable contingency plan. 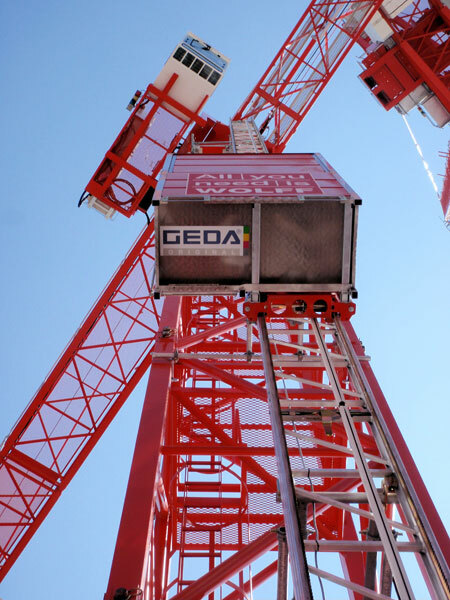 GEDA USA’s TCH Tower Crane Operator Hoist has the power, speed and efficiency to bring an ailing or injured operator down to safety in a timely manner. 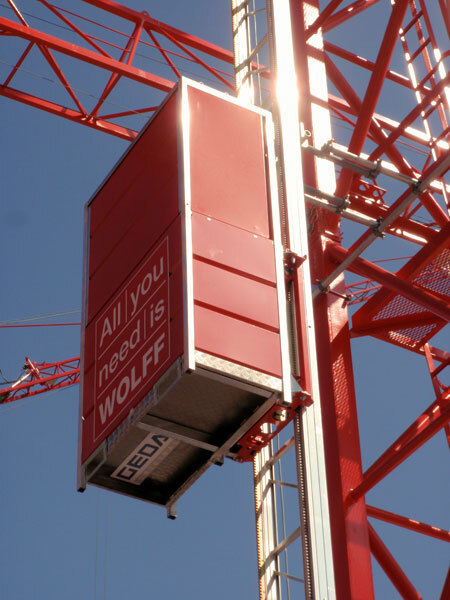 The ladder segments of this state-of-the-art construction hoist are crafted from lightweight aluminum, and uses bolt-free installation methods for mast attachment. 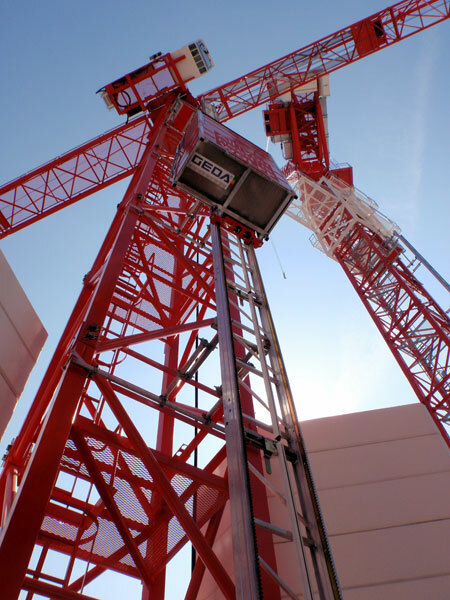 Comfortable, reliable transport cannot be easier or quicker.No more lengthy climbs to the control cab; the TCH Tower Crane Hoist delivers the operator straight to the work site, translating into increased productivityand improved safety. Call or click on the email link to learn more about GEDAUSA’s TCH Tower Crane Hoist or to request a bid on our wide range of premier vertical transport options.